Although she's back on to the monitor, I can confirm that my daughter is using the bumper pad as a pillow. This image was shared two years ago and now Missy Moo had an actual child’s pillow from IKEA. It’s important to keep babies and kiddos safe, it’s just not always necessary to be ridiculously paranoid. 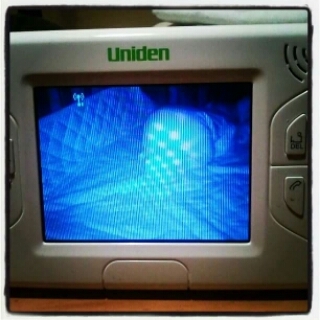 Oh and on a related note, having a video monitor is one of the best things we received as be parents. A continued big thank you to my brother, sister-in-law and nieces for that perfect gift!